This young lady WON this tournament! 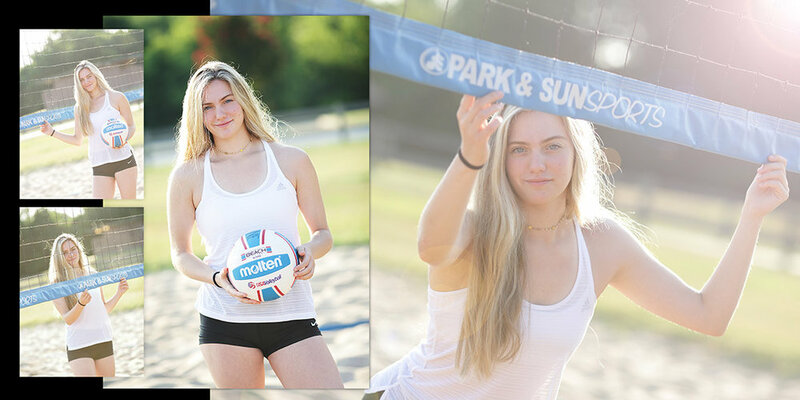 So how awesome is that that her senior photos include images from the first match of the day? Yes you can add pro coverage of a game or event to your senior package. Book a full length senior session in studio or outdoors or a combo and add coverage of an event to the package. The session can be before or after the event depending on scheduling needs. Book page layouts printed in a hardbound coffee table book (offered in 6x6, 8x8, 10x10 and 12x12) are the perfect way to show off ALL your glory without cluttering your family's wall. Moms love the larger sizes to really stand out on the table while teens enjoy the smaller portable version. But, lets not forget grandmas! They lean towards a nice 8x8, big enough to show off on the table but small enough to take with them to show the world when they want. See more of the tournament images HERE on Facebook.